The term “three-peat” brings to mind vivid memories of Bulls championships for most Chicagoans. That’s why our most recent honor of being voted a Best Practices agency by the Independent Insurance Agents & Brokers of America for the third year in a row has us grinning from ear to ear. Just as Michael Jordan relied on his teammates, we acknowledge that this win is thanks to the hard work and collaboration of the entire Alper Team. 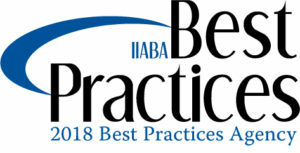 The annual survey and Best Practices Study of leading independent insurance agencies documents the business practices of the “best” agencies and urges others to adopt similar practices. The study provides performance benchmarks in six categories including income and expense distribution, revenue growth and profitability, staffing and productivity, producer performance and carrier representation. Thank you to our Team of Insurance Architects who prove that we all deserve the title of MVP!